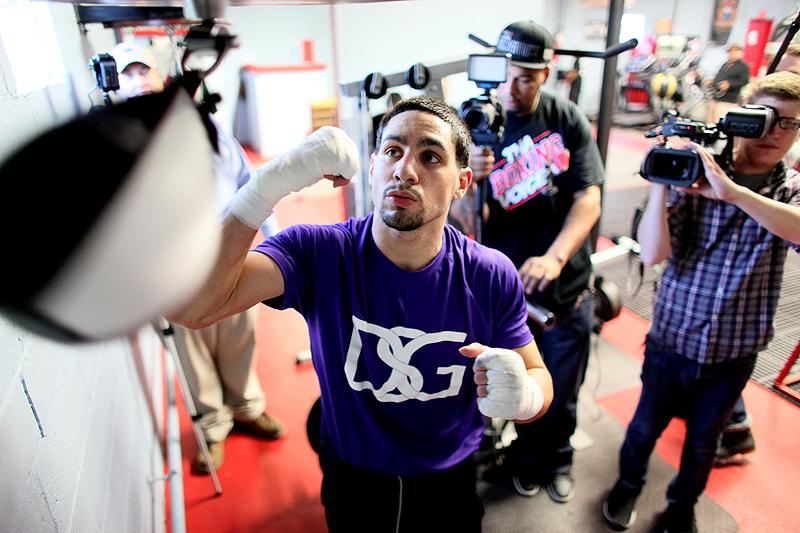 Philadelphia, PA (Feb. 26, 2014) – Undefeated Unified Super Lightweight World Champion Danny Garcia (27-0, 16 KOs), of Philadelphia, and his father/trainer, Angel Garcia, hosted an open media workout on Wednesday at the DSG Boxing Gym in Philadelphia. Garcia is winding down preparations for his long-awaited debut to his native homeland and his world title defense against Maurcio Herrera (20-3, 7 KOs), of Riverside, Calif., on Saturday, March 15, in the main event on SHOWTIME CHAMPIONSHIP BOXING®live on SHOWTIME® (9 p.m. ET/6 p.m. PT, delayed on the West Coast). In the SHOWTIME co-feature from Coliseo Ruben Rodriguez in Bayamon, Puerto Rico, unbeaten knockout artist and American heavyweight hopeful, Deontay “Bronze Bomber” Wilder (30-0, 30 KOs), of Tuscaloosa, Ala., faces veteran Malik Scott (36-1-1, 13 KOs) of Philadelphia. Former world champions Juan Manuel “Juanma” Lopez (33-3, 30 KOs) of Caguas, P.R. and Daniel Ponce de Leon (45-5, 35 KOs), of Cuauhtemoc, Chihuahua, Mexico, clash in the featured match on SHOWTIME EXTREME at 7 p.m. ET/PT. “It’s an exciting feeling going to Puerto Rico. To go back where my dad was born, my bloodline, it means a lot to me to reach out to my fans in Puerto Rico. I just want to go out there and win on March 15. “The Puerto Rican fans have supported me and it means a lot. I’m a Puerto Rican just like they are. “My Spanish is coming along, I understand everything. I’ve been working on becoming more confident when speaking. 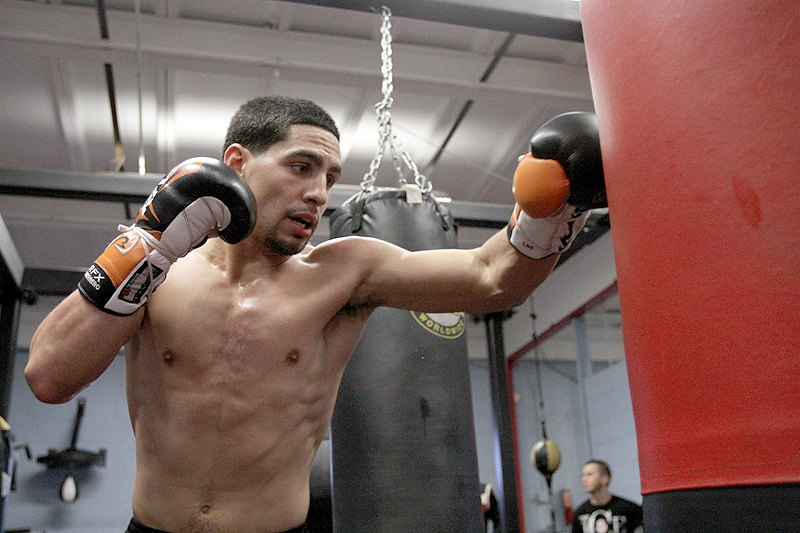 “It’s amazing to be a Puerto Rican fighter, we have a great history of fighters. I say this all the time, ‘I’m Puerto Rican, raised in Philadelphia so I got the best of both worlds. I got the Puerto Rican power and the Philly toughness. It comes a long way. 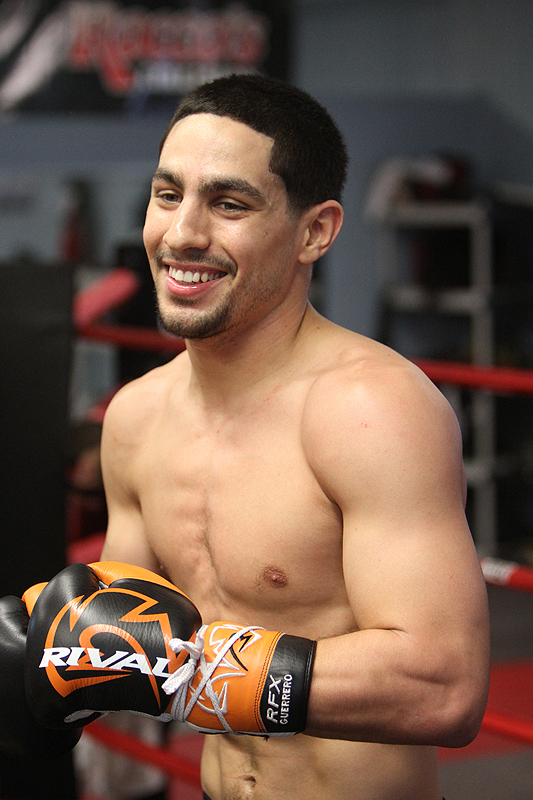 “I was ready to move up a weight class, but I can still make 140. If I’m back in the ring in the summertime I know I can make 140 with the heat. I’ve always been disciplined so it’s no problem for me. 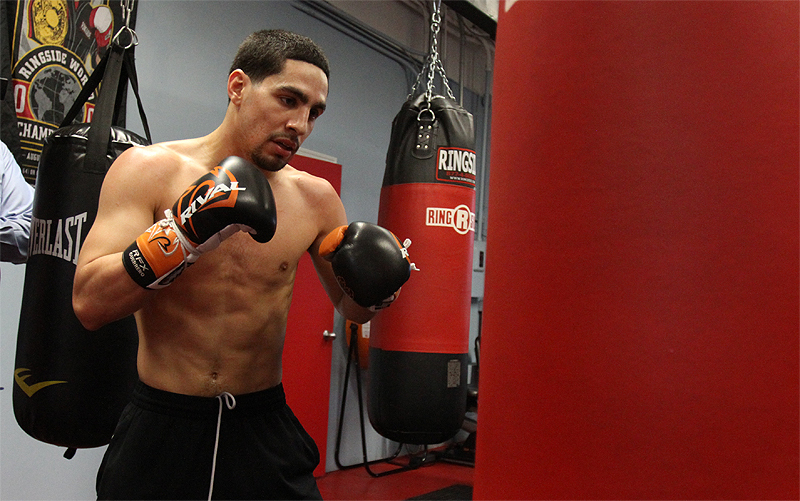 “I said I deserved a home fight, either Philly or Puerto Rico, since I’m always going to someone else’s place to fight. Everyone thought it was a great idea to go back to Puerto Rico. “My parents always talk about Puerto Rico. My dad’s whole family lives in Puerto Rico. My great grandma lives in Puerto Rico and I got to meet her a couple years ago. 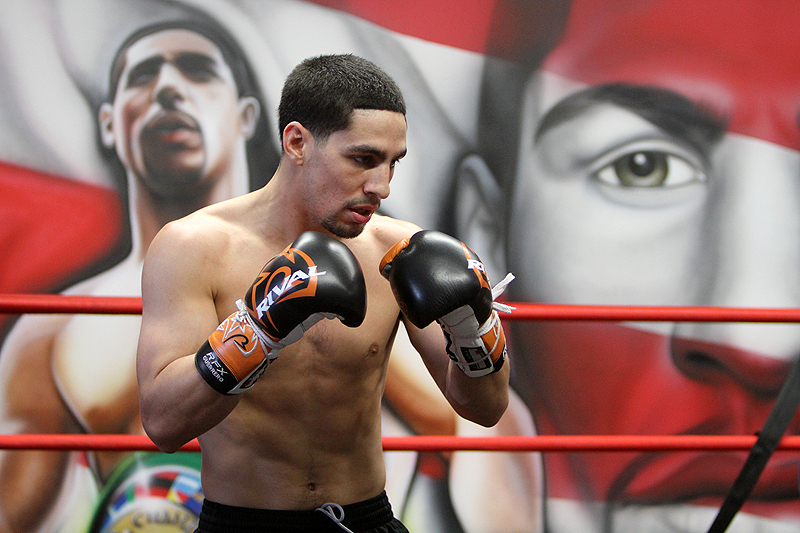 “When I heard who I was going to fight, I already knew a lot about him, I’m a boxing fan. I knew who he fought, who he beat, what trunks he was wearing. He’s a tough fighter, not a big puncher, but he tries to outwork you. At the end of the day it’s a different story when you’re fighting a guy like me. “The last couple of years have been a good learning experience for me and a good journey. My first world title fight I fought Erik Morales and how much experience do you think you can get from that? A lot of people thought he would beat me because of experience. I’ve faced a lot of experienced fighters. “Even when people didn’t think I was the real champion, I got called out anyway. So now when you get a good win the first person people think of is me. I guess they thought it would be easy, but nothing comes easy. “I have to let people know that Danny is 100 percent Puerto Rican. I’m trying to keep the attention on Danny so everyone knows he is Puerto Rican. “Herrera has never fought a Puerto Rican in Puerto Rico. So you will see the difference between the Russian and the Puerto Rican. “If one person comes or if a million people come, Danny is still the champion of the world. “I want people to understand that Danny is Puerto Rican the same way I am.